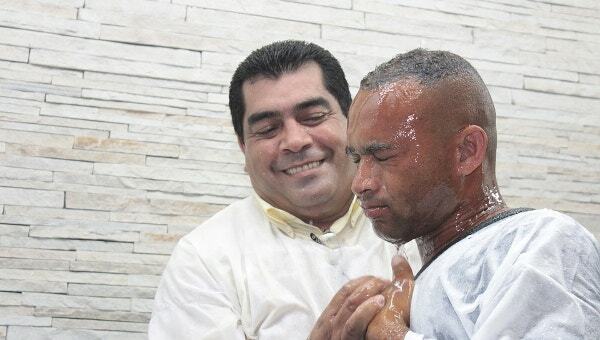 Baptism is among the most important rites of passage of a child. You want your family and friends to partake of your child’s baptism, dedication and confirmation ceremony just like you would love them to attend their birthday ceremonies. For this reason, you require baptism Thank You Cards Templates . Apart from inviting relevant people to the occasion, these cards appreciate their attendance in advance. Luckily, they are customizable, easy to edit, personalize and use at no extra cost. 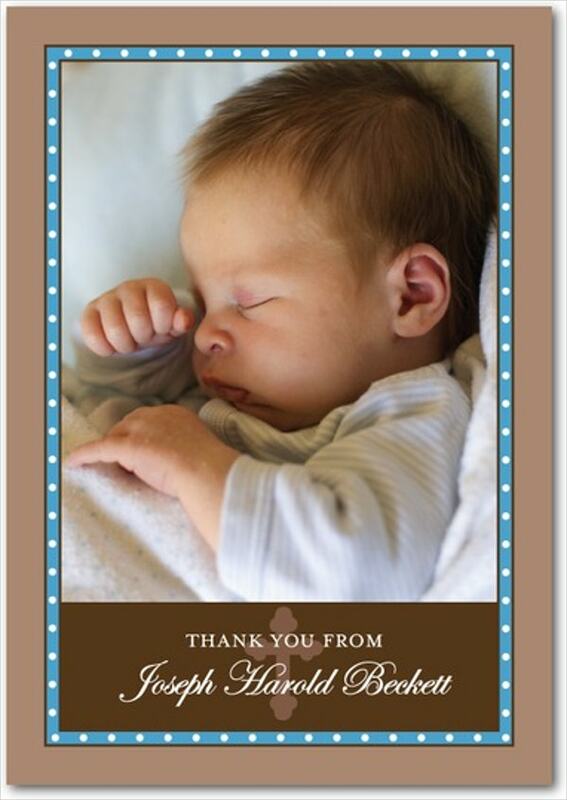 Handmade Christening thank you card comes as a digital file and photo card. You can customize and print it with at least 1530 by 1320 px and 300 dpi. 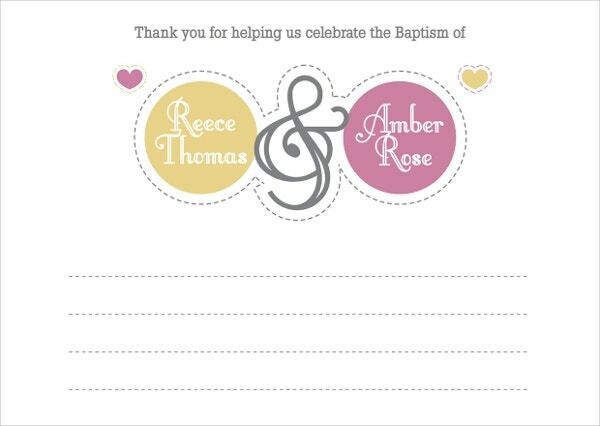 Reese and Amber Baptism Cards are joint cards. They contain unique sets of thank you and invitation cards. Therefore, you can customize them to invite and appreciate family and friends. The Blue Cross Photo Baptism Thank You Cards of 3.5 by 5-in are folded. These blue cards favoring signature printing come with different envelopes including white, silver and Kraft. 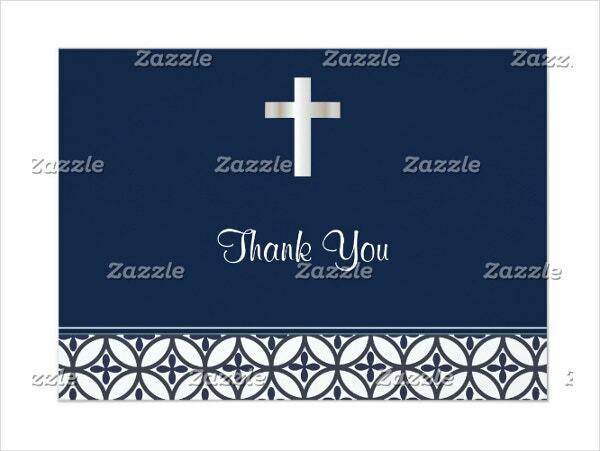 Navy Blue Baptism Thank You Card serves as an invitation card of 4.5 by 6.25 inches. It allows for standard printing on signature, artisan, traditional and Luxe papers after customization. 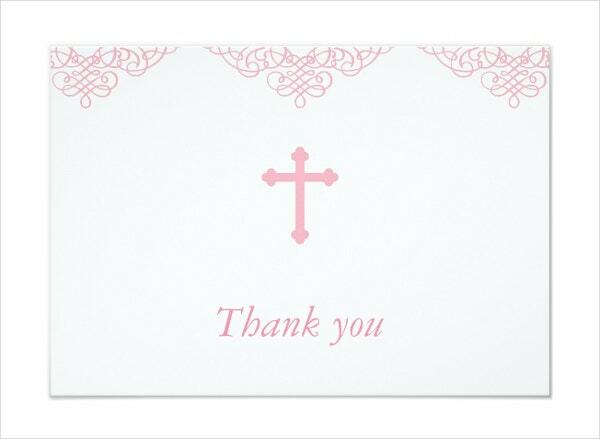 This 3.5 by 5 inches Pink Girls Baptism Thank You Card are used as flat cards. You can customize them before printing them on the standard process to get complete color spectrum. The Blue Sparkle Jewel Baptism Thank You Card requires two days for custom designing with your message, preferred images, colors and size. You can also customize it for future use. 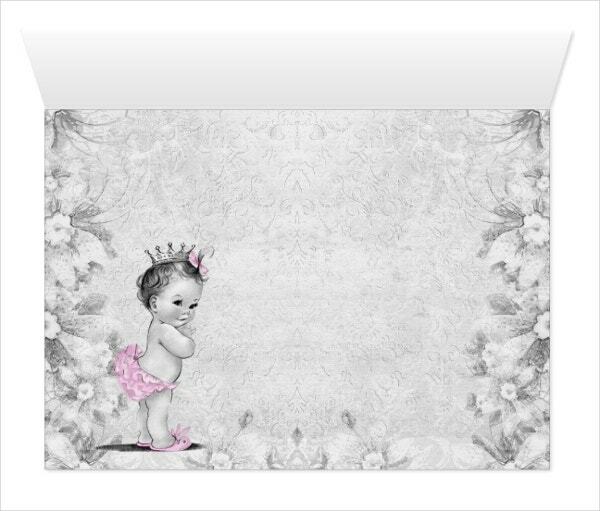 The folded and printable Vintage Pink Gray Girl Baptism Thank You Cards are available for express shipping. You can get them in portrait or landscape layouts with typical white envelopes. This high-quality card comes in 12 unique colors and paper sizes. You can add images and texts and customize its shape and style, and print it. It features full color and bleed printing. You can also see Funny Thankyou Cards. 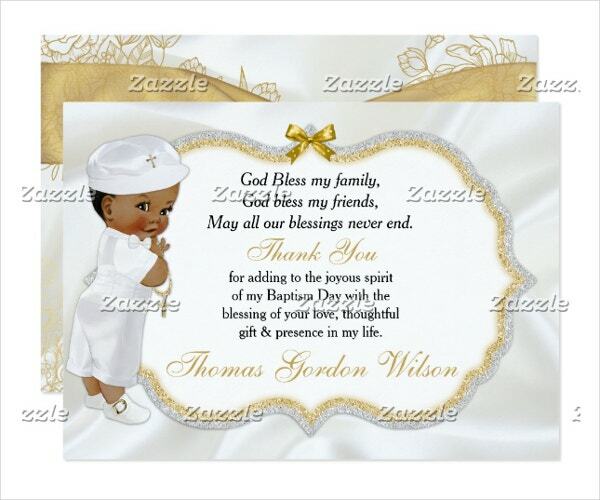 This handmade 5 by 7- in Girl Baptism Thank You Card is ready for printing. It comes as jpg, pdf and DIY card for use in baptism, confirmation and dedication. Baby Thank You Card template contains ten 5.5 by 4.25 inches cards with white envelopes. 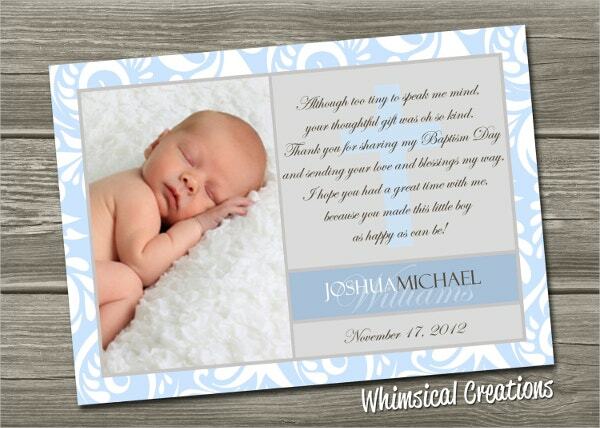 They are stamped in gray with “thank you” and can be totally personalized. 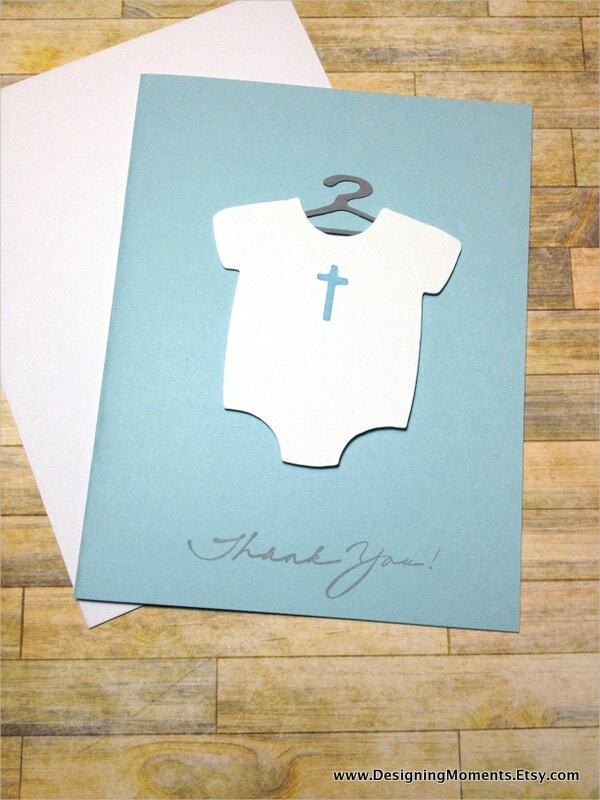 This Boy’s Baptism Thank You Card is artistically handmade for shipping. It contains a 2-in diameter thank you tag and JPG files for instant download. You can customize its colors, fonts and texts. 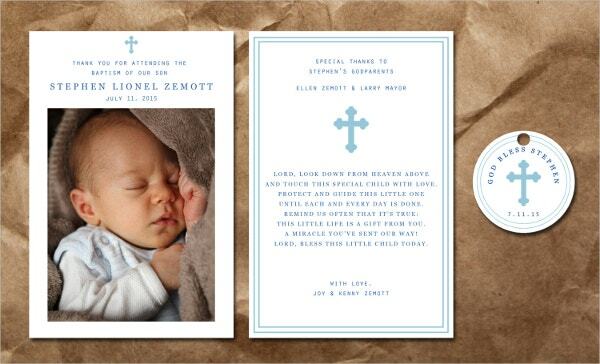 Devote yourself to making your child’s baptism memorable with baptism thank you cards. They are cheap and readily available both for printing and for customization. Interestingly, you can personalize them for all guests of yours while incorporating suitable colors and images that satisfy your needs. What’s more, they are handmade implying that they are unique.